As many in the regulated community were enjoying some well-earned time away from the office last week, California State Treasurer John Chiang was hard at work in Sacramento announcing new policies aimed at curbing the ability of municipal bond counsels, underwriters, and financial advisors to participate in local bond election campaigns. These policies are part of a new enforcement initiative launched July 27 that requires municipal finance firms seeking California state business to certify that they will no longer make contributions to local bond election campaigns. As detailed in Treasurer Chiang’s letter to law firms, underwriters and financial advisors currently in the California state bond pool, continued participation in the underwriter pool will now be contingent upon the making of “an affirmative statement that the firm, or any officer, director, partner, co-partner, shareholder, owner, or employee of the firm, will not make any cash or in-kind service contributions … to promote or facilitate any bond or ballot measure in California.” Additionally, access to the underwriter pool will also be premised on a concurrent certification by covered entities and officials that they will not provide “bond campaign services” in connection with California municipal bond campaigns or ballot measures. This second certification will effectively prevent municipal bond attorneys, underwriters and financial advisors from performing or facilitating any of the following activities in conjunction with local bond campaigns or ballot measures: fundraising; public opinion polling; election strategy and management; volunteer organization; get-out-the-vote services; development of campaign literature; or the production of advocacy materials. 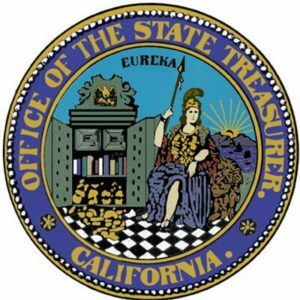 Certain exceptions to these prohibitions will apply, but the Treasurer’s Office is clearly looking to take an aggressive stance against any and all behaviors that it views as pay-to-play tactics designed to engender favoritism in the issuance of bond packages approved by local California voters. While the addition of a few basic certification statements may seem minor to the untrained eye, requiring affirmative statements such as these will also almost certainly heighten the compliance risk borne by the regulated community. 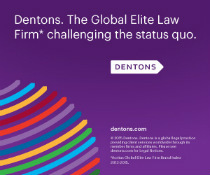 After all, the “inadvertent non-compliance” defense is dramatically more difficult to assert, and a “false statement” indictment is dramatically more easy to obtain, when affirmative certifications are a compliance obligation. The launch of this new initiative was met with strong support from members of the local government community, including the California Association of County Treasurers and Tax Collectors, and by transparency advocacy organizations such as California Forward and Common Cause. Those entities and individuals caught in the regulatory crosshairs of the Treasurer’s new policies, however, undoubtedly have a more cynical view of their adoption. This is particularly the case given the fact that the initiative targets forms of political engagement that are already highly-limited by Municipal Securities Rulemaking Board Rule G-37, and was introduced at a time when Treasurer Chiang is launching his candidacy for California Governor. Coincidence? They think not. Regardless of timing, the restrictions put in place by this new enforcement initiative require entities in the current California state bond pool to comply by August 31, 2016 or risk suspension from participation. Those entities and individuals seeking to gain entry into the current pool will also face similar certification requirements as of that date. So, a small public service announcement to those of our readers in either category – be sure to get your Golden State pay-to-play house in order before summer comes to an end. No More “Golden Goose” for School Bond Campaign Donors in the Golden State? As frequent readers of this blog know well, California has always been considered a fairly restrictive jurisdiction when it comes to the regulation of pay-to-play politics. One large exception to that general rule, however, has been in the school bond campaign context, where financial institutions, attorneys and underwriters have traditionally been permitted to give sizable campaign contributions in support of potential bond initiatives that could benefit their bottom line. From the perspective of political transparency advocates, such school bond campaigns have long been the “golden goose” of California’s pay-to-play politics. The formula in these settings has been simple – feed the government “goose” with large donations to help a municipal bond campaign pass, and reap the “golden egg” benefits by being hired by the corresponding state or municipal government to underwrite, advise or consult on the bond issuance. Based upon the recent comments and actions of various California officials, however, it appears that the era of the school board campaign golden goose may soon be coming to an end in the Golden State. The push to curb pay-to-play activities in the school bond context began earlier this year when California State Treasurer Bill Lockyer sounded the alarm on such activities and asked State Attorney General Kamala Harris to examine the legality of several deals involving active school bond campaign donors. Building off of that effort, Treasurer Lockyer next called on state officials in Sacramento to take legislative action to institute a rule forbidding financial advisers, bond underwriters and bond lawyers that give money to bond campaigns from working in association with such bond projects. While Lockyer has failed to spell out a specific regulatory model of his own, he has embraced statewide legislative action and backed a bill previously introduced by State Assemblyman Donald Wagner earlier this year. That bill, A.B. 621, passed the California Assembly by an overwhelming margin in mid-May. Despite broad bipartisan support for the legislation, however, it has since stalled out in the State Senate Governance and Finance Committee. Lockyer has also endorsed similar legislative solutions put forth by municipal groups such as the California Association of County Treasurers and Tax Collectors. Coinciding with the push from Lockyer and other state officials for a California-wide approach to school bond campaign pay-to-play regulation, there has also been recent momentum on the municipal front. Leading the charge has been Los Angeles County Treasurer Mark Saladino, who earlier this month pledged to ban bond underwriting firms who donate to school bond campaigns from doing business with the county. Saladino asserts, based upon research conducted by the Los Angeles Times and other publications, that virtually all vendors hired by California school districts in recent years to assist with bond issuances have made contributions to the associated district bond campaigns and been retained without competitive bidding. This phenomenon, he claims, drives up the cost of bond issuance for state taxpayers. In the wake of this recent announcement, Saladino has been rallying his local government counterparts across the state to adopt similar approaches until such time as Treasurer Lockyer and the folks in Sacramento implement a broad-based solution. Not all county and municipalities have been quick to follow suit, however. San Diego County appears to be one such municipality. Despite what appears to be strong evidence of a growing pay-to-play culture in San Diego area school bond campaigns, San Diego County Treasurer-Tax Collector Dan McAllister is skeptical of the Los Angeles County approach. While sympathetic to Saladino’s call for tighter pay-to-play restrictions in the school bond campaign context, McAllister believes that a local, piece-meal approach to reform will be both difficult to implement and enforce, and unlikely to be as effective as a comprehensive, statewide approach to the problem. Regardless of which reform model leads the charge in the Golden State over the next few months, it appears relatively clear that the days of school bond campaign pay-to-play in California are numbered. As changes occur in the state and local landscape, we here at Pay to Play Law Blog will be here to help you take a “gander” at the relevant legal changes. If it takes three times to make something a habit, it is safe to say that “pay-to-play” legislation in the State of California is getting to be a bit habitual. For the third time in as many years, the California State Legislature has decided to ripple the “pay-to-play” regulatory waters by passing an “urgency” measure designed to clarify and modify the state’s existing restrictions on investment managers and investment placement agents who do business with California’s public employee pension funds, such as the California Public Employees’ Retirement System (CalPERS) and the California State Teachers’ Retirement System (CalSTRS). The new piece of legislation, Senate Bill 398 (SB 398), was signed into law on October 9, 2011 by Governor Jerry Brown, and is designed to complement two other recently-passed bills regulating the activities of pension fund investment managers. The first of those recently-passed bills was Assembly Bill 1584 (AB 1584), which was passed by the state legislature in 2009 as part of an effort to increase transparency in the management of public employee pension fund assets. Specifically, AB 1584 required all California pension funds to adopt disclosure policies that would require the reporting of all campaign contributions and gifts made to pension fund board and staff members by “placement agents” and external investment managers. Likewise, the bill mandated that all outside investment managers disclose information regarding the fees they pay to placement agents for the purpose of securing asset management business opportunities with state and local pension funds across California. 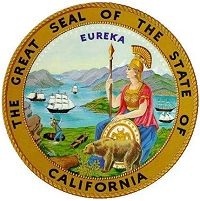 The second of those complementary pieces of legislation was Assembly Bill 1743 (AB 1743), which was passed by the state legislature in 2010 as part of an effort to build on the transparency provisions of AB 1584 by explicitly restricting the ability of placement agents and external investment managers to engage in pay-to-play activities associated with California’s public employee pension funds. As this blog highlighted at the time of the bill’s passage, AB 1743 placed a broad swath of placement agents, external investment managers, and external investment management firm staff under an obligation to register as lobbyists with the State of California. In addition, AB 1743 banned these same individuals from making campaign contributions to the elected board members of California’s pension funds and prohibited them from setting up contingency fee arrangements to manage such pension fund assets. The bill revises the definition of the terms “external manager”, “placement agent”, “investment fund”, and “investment vehicle” to clarify that almost all managers of securities and assets for California public employee pension funds, whether directly or through managed funds, are subject to the disclosure and lobbyist registration rules put in place by AB 1743 for external managers and placement agents. Despite this fact, however, SB 398 does exempt investment management companies that are registered with the Securities and Exchange Commission (SEC) pursuant to the Investment Company Act of 1940 and that make public offerings of their securities from having to comply with the statutory disclosure and registration standards. The bill extends AB 1743’s “safe harbor” exemption from state-level lobbyist registration so that it also applies to local-level lobbyist registration requirements. Under AB 1743’s safe harbor provision, investment managers of public pension funds need not pursue state-level lobbying registration if they meet three separate requirements: (1) they are registered with the SEC as investment advisers or broker-dealers; (2) they obtain their pension fund business through competitive bidding processes; and (3) they agree to be subject to the California fiduciary standard imposed on public employee pension fund trustees. In turn, SB 398 extends a similar exemption to investment managers who would otherwise be required to register as local-level lobbyists on account of their management of local public employee pension fund assets. Since SB 398 was passed by the state legislature and signed by the governor as an “urgency” measure, it is now the active law of the land in California. It remains to be seen, however, what sort of impact it will actually have on the ethics of public pension fund asset management. While its changes will certainly have some effect on investment managers and placement agents doing business with public employee pension funds in California, it will certainly not be as significant an effect as either AB 1584 or AB 1783. 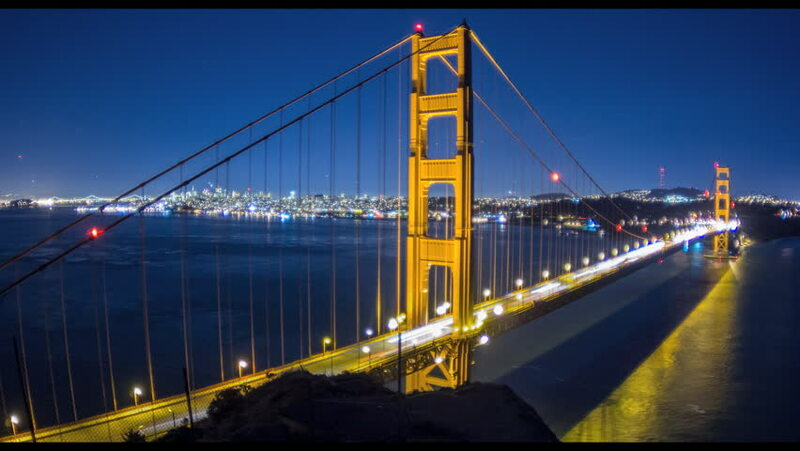 After all, individuals working in the pension fund investment management business have to be slowly getting used to California’s growing pay-to-play regulation habit. New legislation in California, if passed, would prohibit a person acting as a placement agent in connection with any political investment made by a state public retirement system, unless the person is registered as a lobbyist and is in full compliance with California’s Political Reform Act of 1974 as that act applies to lobbyists. California’s law would not be as restrictive as New York, which has an outright ban on placement agents in this area. There is an exemption for employees of external managers who spends at least one-third of their time managing the assets of their employer.